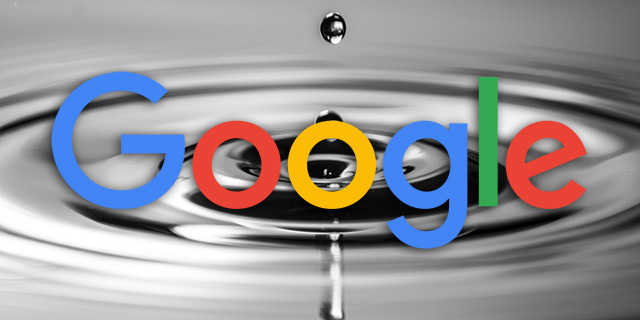 Google's John Mueller said in a hangout with webmasters at the 47:47 minute mark that if a site sees a big drop in a day or so in their Google rankings and others are complaining about a Google update then that is probably related to a change on Google's end to their search ranking algorithm. John added that when you make site changes or technical changed, that generally those changes take weeks to months to impact the site and even so, it impacts the site over time slower than an algorithm update on Google's end. So if you make a change to how your URLs work and Google has to pick up all those 301s, that process happens slowly and your rankings won't drop over night. It fluctuates and has a more long term impact over a longer period of time. You might see your traffic continue to drop over time if you did something wrong. But if Google's algorithm update on a specific day determines your site is not as good as it once was, then you will likely see that impact pretty quickly - over a day or so. Now, this is a generalization, not all site technical changes take a long period of time - if you block your whole site from Google, that can be pretty quick. Also not all algorithms impact a site over night, we know some algorithms take time to roll out and only pick up signals on new crawl and processing. Especially if you have a bigger website then it takes quite a bit of time for the algorithms to adjust to to bigger changes on the website. So that's something where I wouldn't expect to see fast changes. It's more a matter of like maybe several months over which it takes for us to recrawl, re-index, reprocess the website to understand how it has changed, how we we need to change how we show it in the search results. So if you made changes on one day and like a week later you start seeing changes in the search results, that was also a date that other people mentioned as kind of bigger changes that they were seeing, then probably that's not related to the changes that you made. Usually you'd really have like this multi-month period of things kind of subtly changing over time rather than like this one big change. So I should just leave things as they are right now let it kind of settle out for a few weeks and then or a few months and then see what happens moving forward and then start trying to address potential issues? Yeah, I'm always conscious about this saying like you should just leave it for a couple of months because that sounds like oh I'm never gonna change anything again until it figures out where it wants to show my website. And you always need to be on top of things anyway. So there's always a certain amount of things that you'll be working on anyway. So I kind of shy away from saying I'm not going to touch anything until I don't know June or July.